I shower at least twice a day, every day. It's just the way that I am. My husband does the same and sometimes even three depending on what remodeling projects he has each day. My son gets bathed every day as well. Point is, our regular shower curtains usually end up getting mildew and becoming pretty gross after a while. 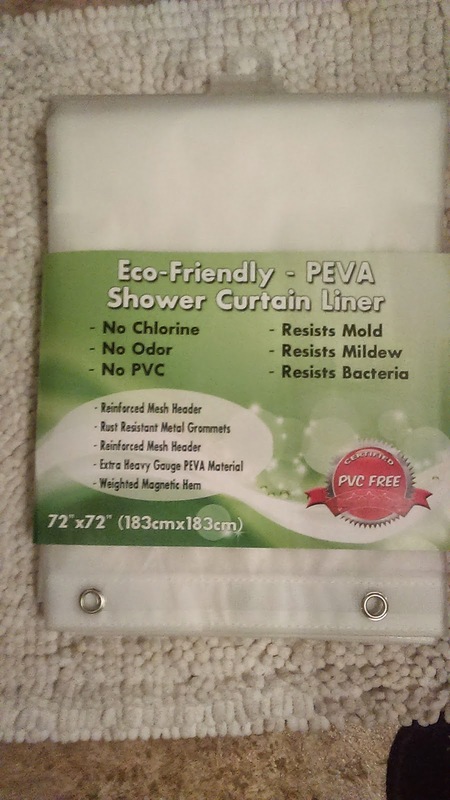 I always hoped that I could find a shower curtain that was different and I believe that the PEVA Shower Curtain Liner that I'm using right now is just what I was looking for. It actually LOOKS a lot like the liner that I was using before, but it's different. My previous liner, as well as all of the others that I've tried before, may have looked similar but they were not environmentally friendly like this one, were not mildew/mold resistant, chlorine free, or non-toxic. You better believe that I am happy to make the switch! The metal rings are also rust-proof! Another great thing about this product. I'm glad there are also weighted magnets to hold it in place when I shower. 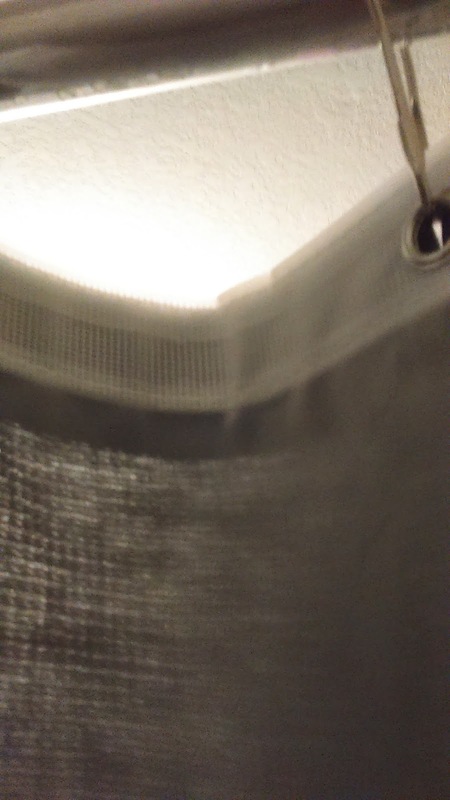 I absolutely cannot stand a shower curtain that flaps around while I am showering. This one stays put. Yay! This shower curtain is not too thin, not too thick. It's perfect in every way. I have been using it for a few weeks now and it still looks new. It's easy to wipe clean if any products do so happen to get on it as well. I'm very pleased with this product.